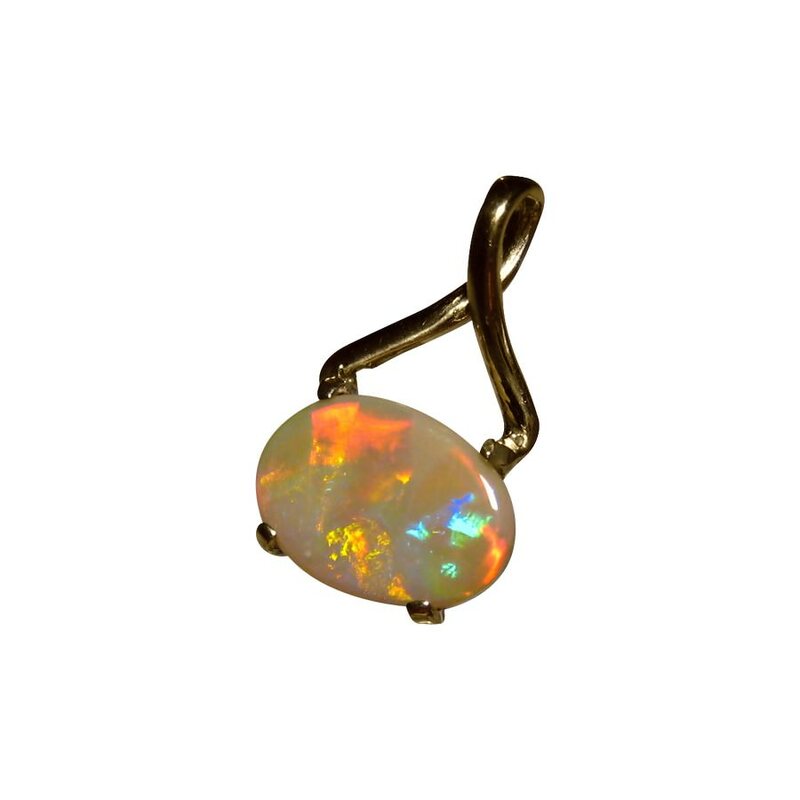 A semi Black Opal pendant in 14k Yellow Gold showing very bright Red in a fantastic play of color. In stock and ready to ship. 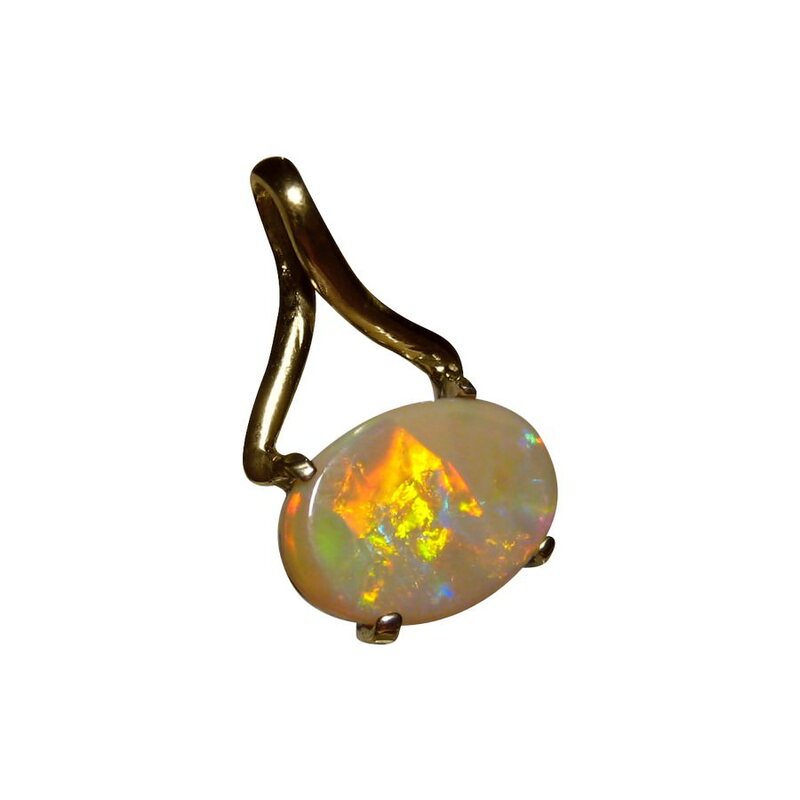 An elegant pendant with an oval Lightning Ridge Semi Black Opal set east to west and prong set in 14k Yellow Gold. 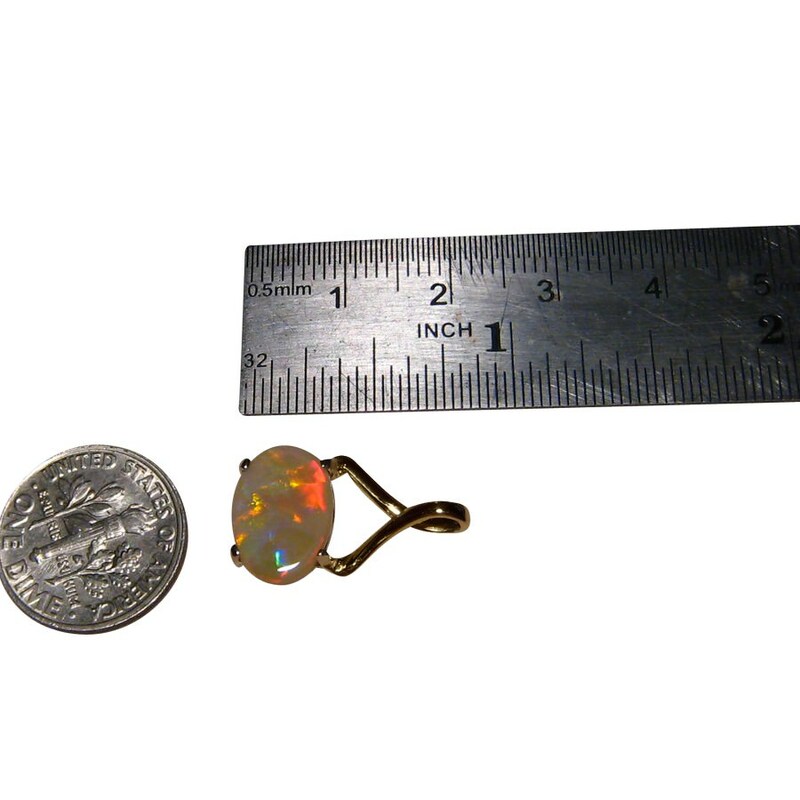 The Opal has the desired color and pattern with a mid range body tone of N6 making it semi Black. Watch the video to see how the bright Red flashes in a Harlequin pattern and the high shine of Gold the images do not show. 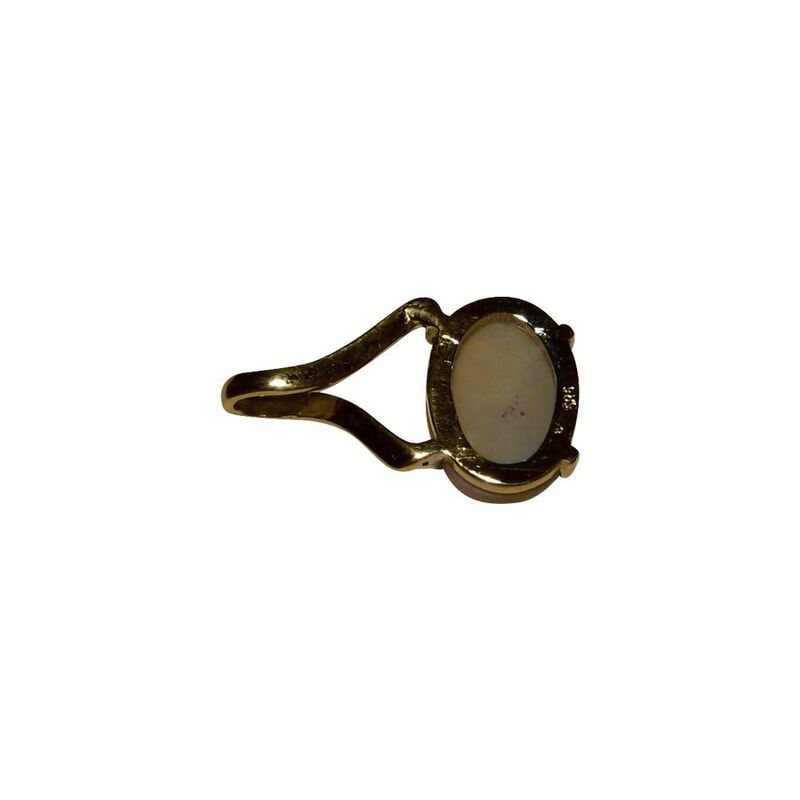 The camera picks up more than is visible to the human eye so be assured the Gold has a high polish and any dark areas or minor blemishes you might see are not visible in person. 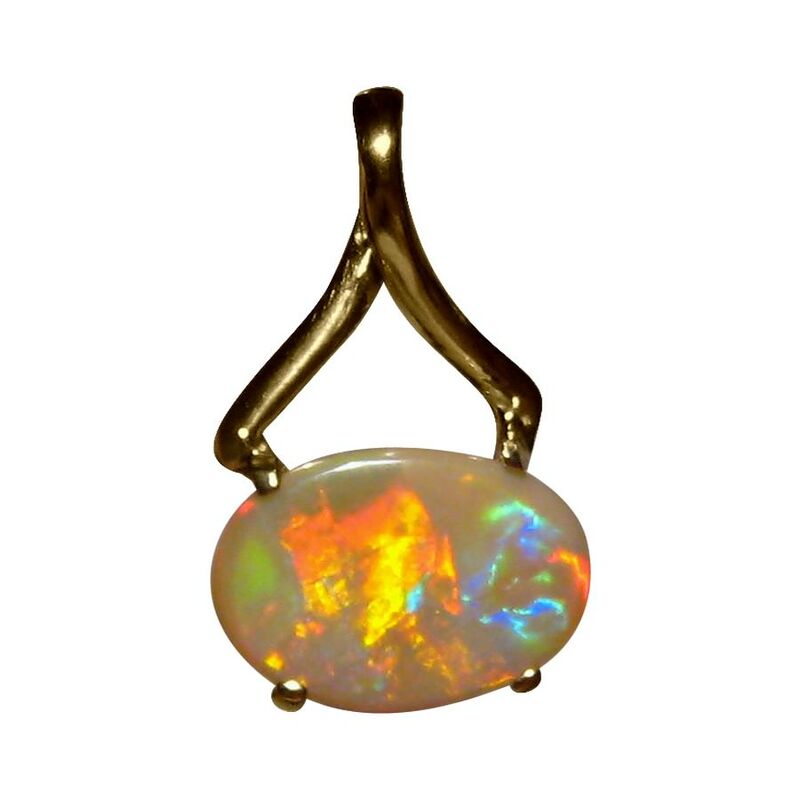 This is a beautiful Opal pendant that is ready to ship now but does not include a chain.